Welcome to Lake View Chalets! Escape from it all at the calm and tranquil Lake View Chalets on the Private Slipper & Spectacle Lakes at Te Arai Point, Northland, New Zealand. Only 80 minutes north of Auckland. Located in the private Spectacle & Slipper Lake Valley. Our Chalets are nestled in park-like grounds with superb views over the lakes, forest and countryside. Our chalet residents have exclusive access to the lake for water activities and walking and relaxing. All our fully serviced chalets enjoy a setting amongst native trees with spectacular views of the lakes and beyond. Each chalet has decks opening onto our extensive gardens with barbecues for each chalet. Enjoy the fabulous sunrise and sunsets with the peace and quite of our private lakes surrounded by the beauty of our local fauna and flora. A five minute drive away from our accommodation you find the beautiful Mangawhai and Pakiri Beaches separated by Te Arai Point, a rock formation extending into the sea that gives you stunning views over ocean, islands and beyond. Lake View Chalets are family friendly and ideal for Reunions, Weddings, Retreats, Events and Conferences too. Our chalets are fully serviced. Providing you with 2 separate bedrooms (super king or king single beds) modern fully equipped kitchen, a tastefully furnished spacious open living area and well-appointed bathrooms with showers. Ride along the lake. 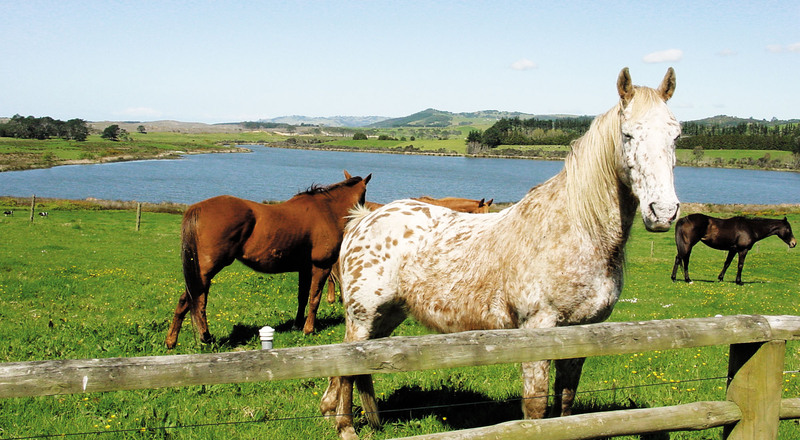 We provide grazing and wash-down facilities for guest horses for a small charge. 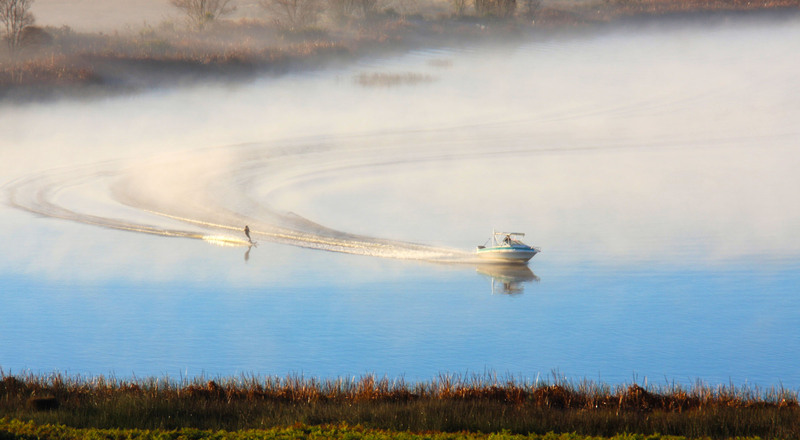 Water sports to enjoy on the lake. Wind Surfing & Sail Boarding. Contact us about bringing your boat. 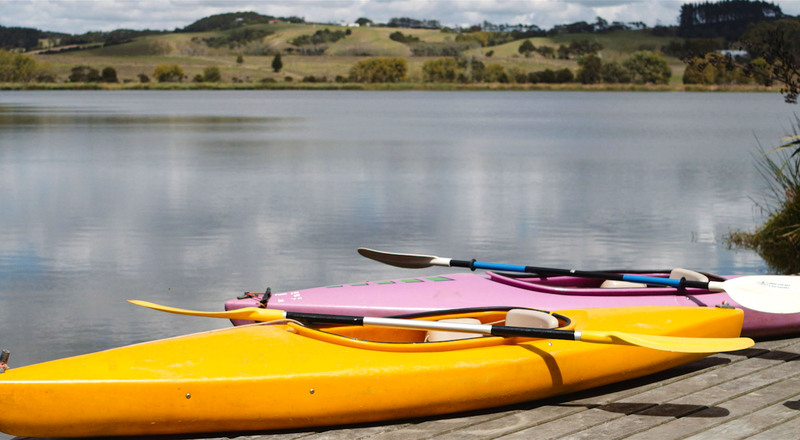 The calm lakes are easy to explore in our kayaks, and offer opportunities for walking and biking. 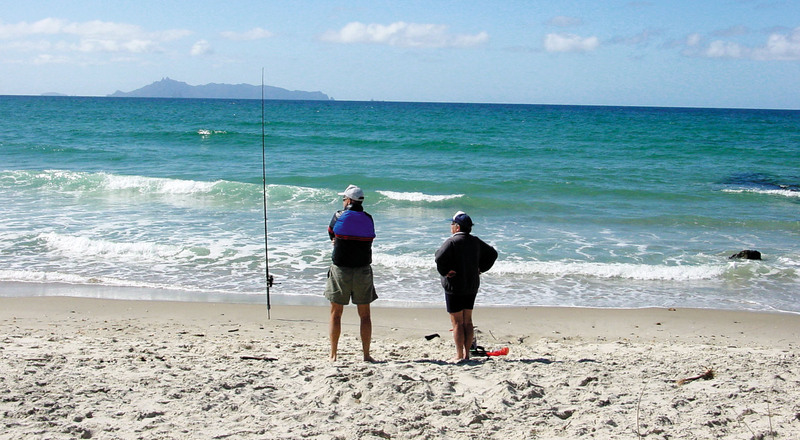 Stroll the sandy beaches & splash in the surf just minutes away at Mangawhai, Te Arai & Pakiri. The calm lakes are easy to explore in our kayaks, while the forest and beaches offer you opportunities for walking and biking. Lake View Chalets are family friendly and ideal for Reunions, Weddings, Retreats, Events and Conferences too. Mangawhai Village, a short drive away, satisfies the espresso, art and shopping lover also providing access to surfing Lessons, fishing charters and the local golf club course!